Speaking on ‘Reservoir Operation and Flood Risk Management’ in the context of Kerala, Thakkar said that it was “not good enough” if authorities made the argument that outflows from dams equalled the inflow during floods. He put forth a strong case for how dams can be managed to moderate floods. He had said that rule curves, which determine how the dams are filled up during the monsoon period, should be put in place or updated. This is acknowledgement of a major fault of Kerala dams: They were full and did not follow rule curve. In view of the state’s experience, the CWC report recommended revisiting the ‘rule curves’ — strategic water level for planning operations of a dam — of all reservoirs. A rule curve specifies storage or empty space to be maintained in a reservoir during different times of the year. Rule curves are derived by studying historical data. Though it helps in maintaining water levels, certain reports suggested that a tendency to keep back water for leaner seasons may have led to high reservoir levels. Kerala had, in fact, last seen such high intensity rainfall during a short duration of time in 1924. In this informative interview of Sharad Chandra, Director of Flood Forecast Monitoring at the CWC although, recommends that the reservoirs in the State be operated in a scientific manner but also says that reservoir operation may not have had much effect in attenuating the flood caused by intense unprecedented rainfall during August 2018 in Kerala. He further says that, untimely and sudden releases from the reservoirs in Kerala should not add to any flood situation in future. These reservoirs need to be operated in a scientific manner following rule curve/operation manual. Inflow forecasting is helpful for this purpose. However, inflow forecast may be possible only based on quantitative rainfall forecast which so far is not available in Kerala’s case. The State government/project authorities may thus be emptying/filling the reservoirs as per the rule curves/standard operating procedures (SOPs) finalised for specific projects. Surprisingly, KSEB authority has begun discussions regarding construction of a new hydroelectric power plant in Idukki dam to increase power production in state. The plans to make a new power plant is with the intention to control flood in future as the water in the dam can be utilised maximum. Silt chokes reservoirs, robs them of storage capacity Large-scale deposits of silt caused by the recent floods have severely affected the storage capacity of many reservoirs, including the Idukki reservoir that has the highest dead storage level. Landslips added to the problems of Idukki as the desilting process had not been done there annually unlike in reservoirs located in hilly areas in developed countries. As per a senior engineer of the Kerala State Electricity Board (KSEB), there were high chances of silt even making some reservoirs unworthy and an immediate survey should be done on the silt level in reservoirs, including Idukki, which has the largest catchment area in the State. A study conducted earlier in the catchment area of Idukki dividing it into 8 zones showed that the Upputhara-Ayyappancoil stretch and Kulamavu area were highly prone to silt deposits due to large human habitations and loose soil. Green Tribunal steps in to conserve Ghats – The six Western Ghats States, including Kerala, have been restrained by the NGT from giving environmental clearance to activities that may adversely impact the eco-sensitive areas of the mountain ranges. The panel directed that the extent of Eco-Sensitive Zones of Western Ghats, which was notified by the Central government earlier, should not be reduced in view of the recent floods in Kerala. Idukki landslides purely a manmade disaster, say scientists studying the region Human settlement in landslide prone areas will not be encouraged henceforth in Idukki. The decision came after a study conducted by the US-based National Science Foundation (NSF) scientists found that Idukki saw a purely manmade disaster during the recent floods in Kerala. The scientists also found that landslides in Munnar were manmade. On August 14, a big landslide destroyed the Munnar Arts College building. A report prepared in 2017 by Sajin Kumar and Thomas Oommen had pointed out that over 60% of Idukki district is landslide prone, which includes the land where the Munnar College is situated. Major 19 landslides claimed 46 lives this year, and more than 1,000 acres of property was destroyed. Seven people are missing in the landslides and their bodies are yet to be recovered. Idukki witnessed 278 landslides and 1,800 mud slips this monsoon alone. Panniyarkutty, a village near Adimali, was completely wiped out by the landslides. Kuttanad lies at the heart of the backwaters in Alappuzha district and is called the ‘Rice Bowl of Kerala’. However, despite being rich in backwaters, the irony is that Kuttanad has always been a water-starved region. And the deluge has only added to the distress of the people here. The problem is complex. While no adequate pipelines have been built for water distribution in Kuttanad, the existing ones are drenched and damaged, thanks to the clayey soil. This type of soil is peculiar to the Kuttanad region, one of the most low-lying regions in the country. 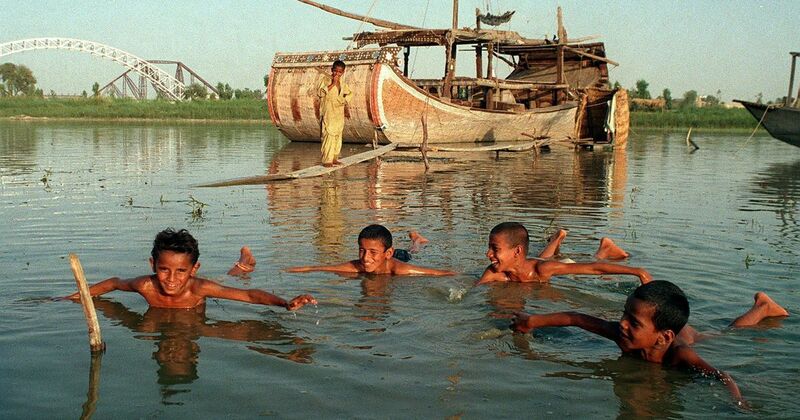 Houseboats have become the face of backwater tourism but has added to the woes of the people. With nearly 3,500 boats being operated on the backwaters of Kuttanad, the toilet waste left behind by the boats is mixing with the water. Apart from the growth of tourism, the use of chemical fertilizers for agriculture as well as the waste being dumped in Kuttanad from the cities, and that from Sabarimala- have rendered public water bodies unusable. Bihar Flood threat looms large over Patna after water releases from Bansagar dam Flood threat loomed large over Patna district on Sept. 8 after the Madhya Pradesh govt released 3.55 lakh cusecs of water from Bansagar dam into Sone river that would increase the Ganga water level which is already flowing above the danger mark in Patna. Uttar Pradesh IAF rescues 14 people stranded on Jhansi island The Hindi report says that on Aug. 2 morning the gates of Rajghat and Matatila dams were opened causing flash flood in river Betwa affecting about 50 villages along the course downstream. The sudden rise in water level also trapped the villager in river islands on two location. Rajasthan Panchna water release puts Rajasthan’s Bharatpur village on high alert Panchna dam with a storage capacity of 258.62 meter touched the danger mark of 257.20 meter following, which the Karauli water resources department opened 5 gates around 4 am on Sept. 6 morning, releasing around 8,000 cubic feet of water per second, to reduce the level of water in the dam. The Srisailam and Nagarjuna Sagar (NSP) projects are brimming with water, with a storage of 205.23 tmcft (full capacity 215.81) and 300.84 tmcft (312.03) respectively due to copious rains in upper reaches of the River Krishna in Karnataka and Maharashtra. Officials and people have been alerted about the second spell of rains in the catchment area of the Krishna this month. Prakasam, Nellore, Anantapur, Chittoor, Kurnool and Kadapa districts have 49% deficit rainfall but the overall actual rainfall received by the State so far was 365.10 mm against the normal 411.12 mm, said Water Resources Minister Devineni Umamaheswara Rao. 2,000 tmcft of the Godavari river water was emptied into the sea and 75 tmcft could be utilised. The storage levels in the Tungabhadra, Narayanpur and Almatti dams were nearly full. Water Resources Minister Devineni Umamaheswara Rao said the second phase of Purushotthapatnam would be inaugurated in the second week of October. Steps were taken to store 12 to 20 tmcft in the Gandikota reservoir and it was targeted to provide 1 tmcft to the Avuku tunnel. Up to 11,000 cusecs of water was being released every day to fill the reservoirs in the four Rayalaseema districts and nearly 8 tmcft of water in the Vamsadhara was tapped against 52 tmcft that flowed into the sea. A sum of ₹1,000 crore was being spent on the Vamsadhara Stage-II to store 4 to 5 tmcft. Assam Details of Aug. 2018 dam induced flood in Golaghat This details the flooding event of Assam in the last week of July 2018, when suddenly the calm Dhansiri river broke its flood level record at Numaligarh in Golaghat district. 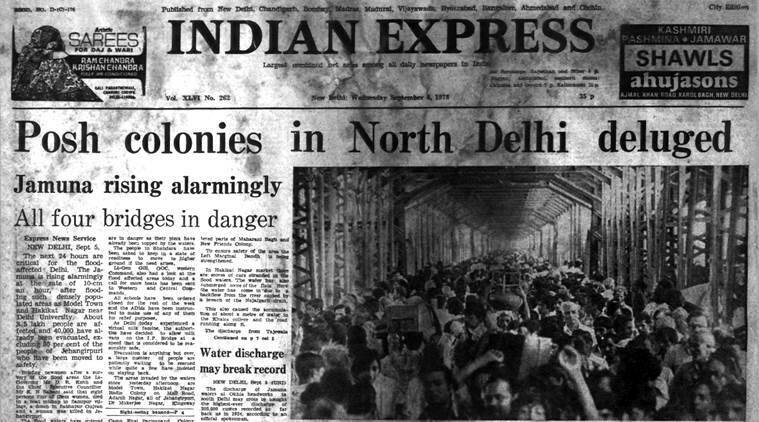 The earlier record – set on Sept 24, 1985 – had been 79.87 metres. This time it was 80.18 metres, and stayed above the previous high level for over 60 hours. Rain deficit at 7%, but water level in reservoirs higher than last year Any reaction to this is welcome: “The rainfall has been deficient in north and eastern India, so reservoirs are expected to be lower than normal storage. But a key factor is that snowfall has also been low this year. The ground water use is also very large and unsustainable, as more water is getting used upstream, and demand is increasing which has decreased the river flow,” said Himanshu Thakkar of SANDRP. Op-Ed Power companies going belly up Bharat Jhunjhunwala: Large numbers of thermal and hydroelectric power generation companies are facing bankruptcy. The main reason is that the demand for electricity is not growing as expected. The combined effect of killing of small businesses and shift to services is that the electricity consumption is not growing. It grew at 5.9 per cent in April-May 2017. This growth declined to 3.1 per cent in April-May 2018. – This low growth in electricity consumption has led to the spot price of electricity remaining flat. According to data from the India Energy Exchange, the average price of electricity in 2017-18 was Rs 3.26 per unit. The thermal projects are viable at a price of Rs 5 to 6 per unit. Thus, they are no longer profitable and are going bankrupt. The cost of generation of electricity by thermal and hydro power plants is also high because of “padding” by the owners. – The price of solar power in a recent auction in Madhya Pradesh was a meager Rs 1.58 per unit. The cost of thermal power is about Rs 5 per unit and hydropower is around Rs 8 per unit. Thus, purchasers prefer to buy power from the solar projects and not from thermal and hydro plants. – Thus, the thermal and the hydro companies will continue to go bankrupt. How did we get here? The mischief was done by the Central Electricity Authority. This statutory body has published highly inflated forecasts of electricity demand for many years now. For 2003-04, for example, the CEA had forecast a demand of 467 trillion units in the year 2000. The actual demand in 2003-04 was only 362 Trillion units. Pancheshwar Dam Revised DPR for Pancheshwar dam sent to project development authority A fresh, updated version of the second Detailed Project Report, prepared by WAPCOS, was sent last month to Pancheshwar development authority (PDA) which will now forward it to the Indian and Nepalese governments for approval, ” a WAPCOS official at Pancheshwar site said on Sept 4, 2018. The previous version was submitted in June 2017. Lakhwar Dam Govt revives controversial dam project A massive dam project on the Yamuna is being revived by the Indian government, despite concerns of environment and financial sustainability, and despite the case against the dam being in court. Op-Ed Its time to reengineer our dams K.A.S Mani:- Govts are not the only entities responsible for undertaking irrigation projects, although they might be the most accountable. The modicum of trust placed on the promoters of big dams is often loaded with compromises on the design, management, honesty of conduct and awareness of risks to downstream areas likely to be affected during heavy flooding. Power generation, irrigation and piped water supply remain the limited objectives of dams while flood management and ensuring ecological flow in river beds have been almost completely sidelined. Environmental degradation is recognised as a small price to pay for economic growth and changes in the microclimate, impact to human lives, habitation, infrastructure and health are thought of as growing pains for larger gains. Governments continue to abuse knowledge-based institutions to compose favourable reports on environmental, social, rehabilitation safeguard norms and so clear various projects. The technical incompetence of regulatory agencies has become a matter of global ridicule. Hostility to climate change projections led by the US has strengthened many Indian states to come out strongly against the negative impacts, to effectively bulldoze their way through new project approvals. Telangana, Andhra Pradesh and Karnataka have gone overboard with their contempt for climate risks, the environment and safety, in a way that it appears the tragedies in Kerala and Uttarakhand have taught them nothing. Pune CIDCO reject PCMC’s demand of recycling, treating STP water Planning to tackle the water woes in city, the PCMC wants CIDCO to implement the project to use recycled water. CIDCO had earlier prepared a report with the help of a consultant to use STP recycled water for purposes such as industry, gardening, and vehicle cleaning. The project would co approximately Rs 192 crore and the PCMC wants CIDCO to implement the scheme now. Two of the STPs are located in Khargar with collective capacity of 95 MLD, while one is located at Kamothe 85 MLD another STP is in Kalambili 50 MLD. CIDCO ahead o the formation of PCMC hasd planned to install a Teritiary treatment system to make use of the STP water. As per report Taloja MIDC has requirement of 15 MLD. Around 10 MLD of tertiary treated water can be supplied to Golf course, Central Park, garages, major housing socieites having gardens, etc in Khaghar. So MIDC and Khargar node will save 25 MLD of water. Ganga Protection Corps Govt is proposing armed force in the form of the Ganga Protection Corps (GPC) to impose strict measures that include higher fines and more jail time to those caught polluting the river. According to the proposal, the GPC will fall under the jurisdiction of the Central government. Responsible for penalising anyone caught trying to pollute or damage the river, the armed force, while following the Code of Criminal Procedure, will take any offenders into custody and to the nearest police station. A fine of Rs 50,000 per day or a prison sentence for up to 5 years has been recommended for any person or municipal body that will take any steps resulting in the discharge of sewage or trade effluent into the river. Char Dham All Weather Road Project Larger NGT bench to hear plea challenging clearance The NGT Sept. 4 referred to a larger bench a petition challenging the environmental clearance to Char Dham highway project that aims to provide all-weather road connectivity to four holy towns of Uttarakhand. The project, which has an estimated cost of Rs 11,700 crore, will connect holy shrines of Gangotri, Yamunotri, Kedarnath and Badrinath. Madhya Pradesh Forest ranger mowed down in MP mining mafia’s latest attack on officials A Deputy ranger Subedar Singh Kushwaha was crushed to death when he tried to stop a tractor laden with illegally-mined sand in Morena district on Sept. 7 morning, the latest in a series of attacks on officials trying to curb Madhya Pradesh’s mining mafia. He was on duty at the forest department post near Ghirona temple in Morena, 480 km north of Bhopal, when the incident took place. Forest guards took him to the hospital but he had already died by then, the police officer said. Last year, IAS officer Sonia Meena was threatened at gun point by illegal miners when, as a sub-divisional magistrate in Chhattarpur district, she made a bid to check illegal mining in Betwa river. Later, she faced a death threat and complained to chief secretary BP Singh. A 35-year-old man was arrested early Sept for allegedly running over and killing the Forest Department officer, police said. Police managed to zero in on accused Devendra Gurjar after scouring the CCTV footage of the area, officials said. Officials said sand mafia is active in the region and illegal mining on the Chambal riverbed was threatening the endangered gharial population there. It was damaging eggs laid in the sand by these gharials, a fish-eating species of the crocodile family, they added. Uttar Pradesh Notice regarding Public Hearing on Oct. 5, about sand mining proposal in Yamuna River in Greater Noida. Public Notice by UPPCB regarding Environment Public Hearing of sand mining proposal at Belakalan village on Yamuna bank in Gautambudh Nagar. It will be held on 5 Oct. 2018. Jammu & Kashmir Demand to lift ban on sand extraction from river bed Tractor trailer owners and drivers are demanding lifting of the ban on the extraction of sand and gravel from the Tawi river bed as they allege that carrying material from far-off sites for construction projects in the city is costing them dearly. In this regard, tractor trailer owners have been launching protests since the past two days to urge the authorities to come to their rescue as many have been rendered jobless. The J&K High Court had 2 years ago imposed a ban to keep a check on the uncontrolled extraction of minerals from local rivers like the Tawi, the nullah near Sidhra bypass bridge, Jajjar nullah and Kattal Battal. Though the ban was imposed to save the Tawi riverbed on which four bridges are constructed, other sites of mining in the peripheries were not brought under the prohibition. Maharashtra Mangroves hacked by sand mining mafia, allege fishermen in Navi Mumbai Weeks after the state mangrove cell released a report highlighting a 133-hectare increase in the mangrove cover across 11 locations in the Mumbai Metropolitan Region (MMR), Navi Mumbai residents have alleged that five hectares of mangrove forests have been cleared illegally by the sand mining mafia. Tamil Nadu Sand mining resumes on dry Cauvery bed With a steep fall in the discharge of water from the Stanley Reservoir at Mettur, sand mining works on the dry bed of Cauvery at the govt sand quarry at Kunnipalayam village near Mohanur has resumed. The sand mining activities at the Public Works Department’s sand quarry at Kunnipalayam in the district came to a grinding halt due to the floods in the river. Kerala Riverbeds teem with sand miners Decades of rampant sand mining has rendered the Bharathapuzha river poor apology of its earlier self. However, the rain-induced floods re-deposited large quantities of sand in the river systems indicating a possibility of their revival. But seems like the greed of the sand mafias wont let the river live. The river-fed areas targeted by the sand mafia after the floods are Shornur, Pattambi, Chalissery and Koppam regions of Palakkad district and Chamravattam and Thirur areas of Malappuram district. Apart from the Bharathapuzha, its feeders such as Gayathri, Kunthi, Karimpuzha and Kalpathy are also on the mafia’s hit list. Odisha CDA warns against proposed water aerodrome on Chilika lake The Chilika Development Authority (CDA) has drafted a report recommending the state govt that the proposed water aerodrome over the lake will negatively impact the ecosystem and the surrounding human population, a report accessed by The Indian Express revealed. CDA’s report states that the water aerodrome is not advisable because the “cost involved from operation of sea plane seems to far outweigh the benefits” and the project is also not “legally… feasible”. The report also states that the sound of seaplanes will affect breeding and navigation of the Irrawady dolphins, which have highly sensitive hearing. Chilika has the largest number of such dolphins in the world and is also one of two lagoons in the world that shelter them, the report states. The report also lists the legal reasons against the project. 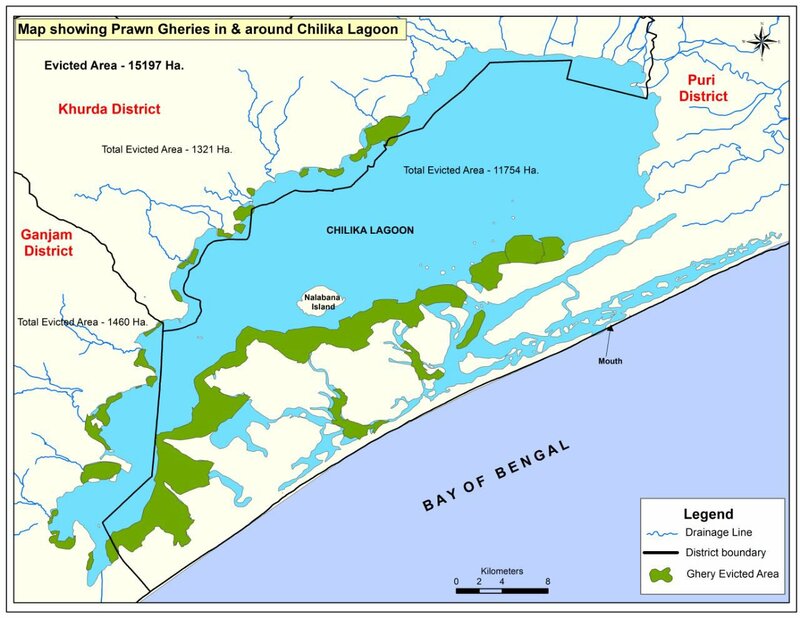 Chilika is governed by provisions under Wetlands Conservation and Management Rules 2017, which prohibit its conversion into non-wetland uses. The birds and fish are also likely to hit the planes and risk the lives of passengers, the report says. In a letter to the state govt, Chilika Development Authority’s chief executive Sushanta Nanda said that the provisions of the Wetland Conservation and Managent Rules, 2017 prohibit conversion for non-wetland uses. Chilika lake is a designated wetland site of international importance under the Ramsar Convention. The proposal would also harm the livelihood of the local population, he said. 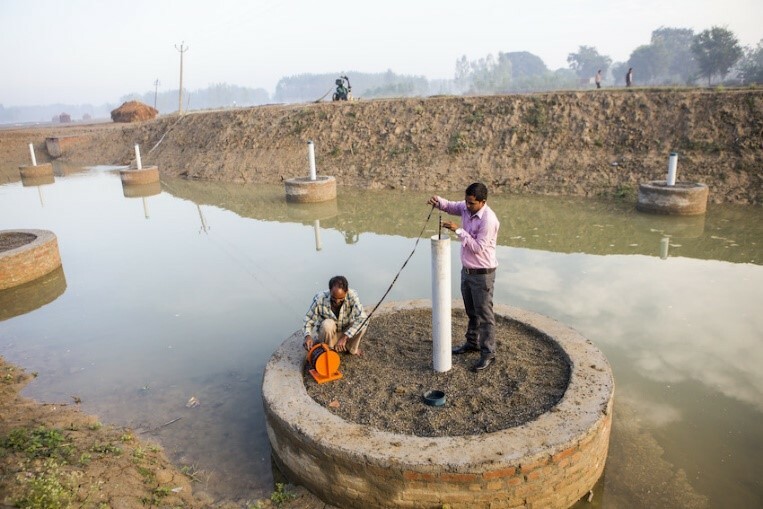 Uttar Pradesh Underground Taming of Floods for Irrigation Example of groundwater recharge efforts in Ramganga basin in Western Uttar Pradesh. A technique called Underground Taming of Floods for Irrigation, or UTFI, serves to overcome the spatial and temporal mismatch in water availability that is characteristic of recurrent flood/drought cycles. With the time period to send in suggestions extended till September 30, citizens have given a range of submissions to protect the depleting groundwater sources in the state. Citizen activists from the state have proposed a number of suggestions and objections for the soon-to-be-introduced Maharashtra Groundwater (Development and Management) Act. Key suggestions include the formation of a groundwater department at every zilla parishad and urban local body, registration of groundwater sources, complaint logging mechanism and use of water meters, among others. The suggestions put forth by the group focus on a more participatory approach in the protection, recharge, conservation, and sustainable use of groundwater and its sources. Punjab Canal water for 340 villages affected by arsenic, fluoride The state govtwill supply canal water to 340 of the 1,188 villages where arsenic and fluoride content in drinking water is high. The World Bank has, in principle, approved five projects worth Rs 378 crore for supply of drinking water to arsenic and fluoride-affected villages in Amritsar, Gurdaspur, Patiala and Fatehgarh Sahib districts. Of the 1,188 arsenic and fluoride-affected habitations in the state, 777 are on the list of the Centre which will get 50 per cent funding for their treatment projects. The state govtis sending the proposal for aid for the remaining villages to the Centre. Telangana 85% consumers say Water Board supply pure and safe: Survey Notwithstanding the brouhaha over the Nizamera water supply network in the city, almost 85% of consumers say okay to the water supplied by the Hyderabad Metropolitan Water Supply and Sewerage Board (HMWS&SB). They contend that the wter is pure and safe to sonsue, while 15% consumers depend on bottled water. A total of 1200 households in 14 operation and maintenance divisions in GHMC and peripheral areas were part of the survey. The survey was taken up following complaints registered on HMWS&SB’s call centre metro customer care which, in turn, asked HIS to undertake the mega study. NGT forms panel on potable groundwater NGT constituted the committee to “monitor the situation for six months with a view to enhance the availability of groundwater by adopting suitable measures, check contamination and take a final call on the plans for proper utilisation of treated effluents”. “There is also an issue of encroachment of Delhi floodplains that leads to reducing groundwater recharge. Beyond suggesting sealing of borewells or handpumps, where water is contaminated, no suggestion has come forward for treating the contamination,” NGT observed, while constituting the committee. The monitoring committee will be headed by former Delhi HC Judge S.P. Garg. It will also have representatives from the CPCB, CGWB and jurisdictional SDM, the Bench said. The committee has been asked to “take stock of all actions taken so far” and prepare a time-bound action plan to deal with the matter. It had earlier directed the Delhi govt to act against unauthorised water extraction in the national capital. Top soil erosion worrying, say experts While the impact of floods on human life and on standing crops is enumerated and studied, as in the case of recent floods in Adilabad and Kumram Bheem Asifabad, the phenomenon of loss of top soil is generally ignored. Study Global warming will increase water flow in India and other South Asian countries Mismanagement of the water flow will exacerbate floods, water logging and land erosion, experts say. Bangladesh Govt approves Delta Plan 2100 to tap BD’s huge potentials The plan, prepared by the General Economics Division (GED) of the Planning Ministry, with assistance from the Dutch govt and the World Bank, is expected to boost the country’s GDP growth by another 1.5 percent by 2030. The short-term measures of the Plan will be implemented by 2030, while the mid-term ones by 2050 and the long-term ones by 2100. The govt will need $37 billion by 2030 for implementing the plan. Nature’s whims cause water crises. 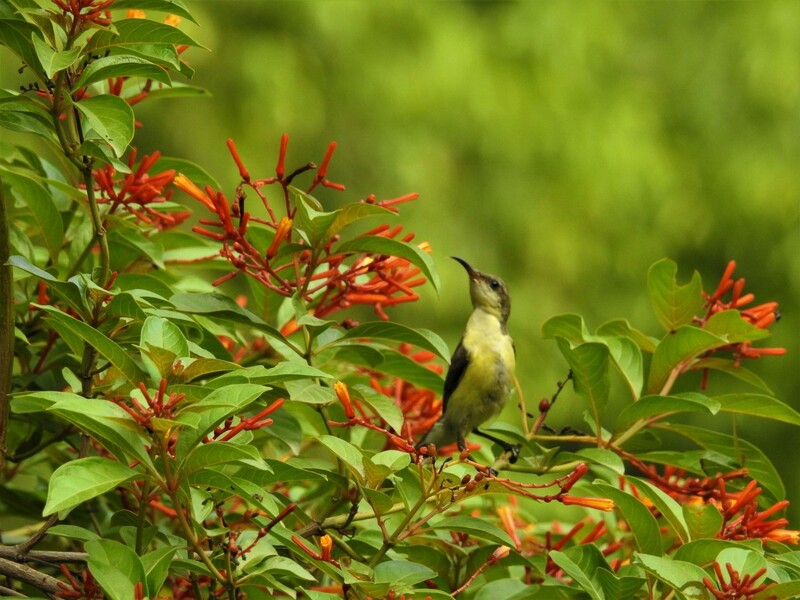 Its infrastructure can stop them ADVOCACY FOR NATURE BASED SOLUTIONS: Across Asia, man-made structures have stood powerless to avert tragedy after tragedy during 2018’s rainy season. Worldwide water crises show no signs of slowing. It is time we paid more attention to nature’s own engineering. At times, the best course may be to combine it intelligently with human invention. The time for relying solely on man-made infrastructure has past. We need to work with nature, if we are to temper its own extremes. One example of a successful “green” infrastructure approach can be found in the town of Kitui in Kenya, situated 150 km east of Nairobi. The land in Kitui is semi-arid. In response to these challenges, and given the good geological conditions for constructing sand storage dams, the government has budgeted for 2,000 sand dams to be built by 2021. Sand dams are simple dams on seasonal smaller rivers that use naturally accumulated sand behind the dam wall to create a subsurface reservoir for water. Sand dams can store up to 10,000 cubic meters per year. – The water these dams save can be abstracted throughout the dry season, avoiding problems found with standard dams such as evaporation losses, contamination from other sources and malaria. More water and soil moisture has become available for agriculture, increasing the irrigated crop area by 400%. Typically, the increase in income surpasses the construction and maintenance costs of sand dams. The dams are now spreading to Burkina Faso, Ethiopia, Tanzania and Uganda. Egypt Egyptian farmers hit as Nile Delta comes under threat For centuries, the banks of the Nile have been home to farms producing rice as well as cotton and wheat. But now water shortages, soil degradation and pollution have created a crisis that has undermined agriculture in the delta, which is struggling to support millions of impoverished farmers. Compounding their problems, the river has become a focus of regional tensions since Ethiopia began to construct a $4.8bn hydropower project on the Blue Nile, the source of most of the water reaching Egypt. The Grand Ethiopian Renaissance Dam will be the largest of its kind in Africa and a linchpin of Ethiopia’s ambitious plans for economic development. Cairo fears that its already strained water resources will decline further when the dam has been completed. Mexico Historic presidential decrees create hundreds of water reserves This is old report but interesting, though unclear what exactly water reserves mean in practical terms.The President of Mexico, Enrique Peña Nieto, has signed a series of landmark decrees establishing water reserves in nearly 300 river basins. The decrees will guarantee water supplies for the next 50 years for 45 million people, as well as some of the country’s most biodiverse ecosystems and globally important wetland protected areas. Goa Ex-Minister Pins Manohar Parrikar”Rs. 144,000 Crore” Mining Case Goa Foundation, an NGO, that approached the Supreme Court against the renewal of 88 mining leases, had filed a petition before the state Lokayukta accusing Mr Parsekar and govt officers – former mines secretary Pawan Kumar Sain and current mines and geology department director Prasanna Acharya – of being involved in the illegal renewals. Delhi Story Under Every Old, Big Tree EXCELLENT piece about celebrating Urban Ecology in Delhi: The NBCC’s redevelopment drive in Delhi sought to disqualify its green cover as a fragmented, apathetic speckle on the face of a concrete jungle. But intimacy is the animating spirit of ecology, urban or otherwise. The point that Delhi needs more trees has been historically well made, repeatedly, and through protest and petition both. It is the death of irony that the world’s most polluted city should think of cutting mature trees that provide oxygen and relief from noise and dust. It also verges on the funny that this is being done with the excuse of planting more saplings, which will take decades to become trees, by which many of those protesting may well have shifted cities. The moot point really is of governance and fake news; for example, why are 11,000 trees being described as thorny shrubs or peripherals? NGT Chief Justice AK Goel to re-hear 18 cases already reserved UNUSUAL, UNPRECEDENTED, NO REASON GIVEN: “This is unfortunate and should have never happened. This is also such a waste of judicial time. A bench can release a reserved judgment citing specific reasons. But not pronouncing judgment within a month, unless that is specified in the NGT rules, is not a reason,” said Senior Advocate Rajeev Dhawan. “I am not aware of any order of the Supreme Court which mandates that a case reserved for judgment should be released because the judgment could not be pronounced within a month of reserving a case,” said advocate Ritwik Dutta, the lawyer in two cases that have been “released” for rehearing.